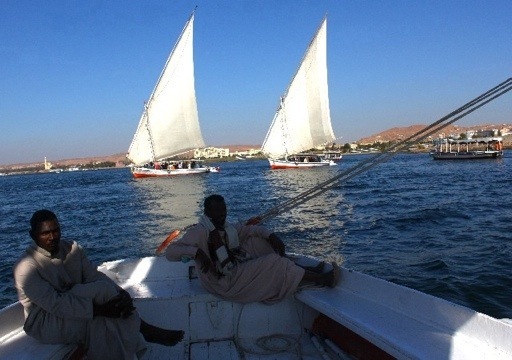 Walking along the bank of Nile in Luxor or Aswan, you would be asked a hundredth time a day if you want to ride a felucca, the traditional wooden single-mast sailing boat, which is still commonly used in upper Egypt and Sudan. 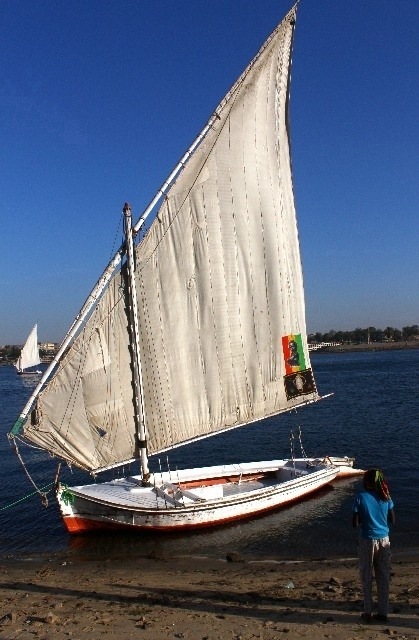 Powered by the wind, feluccas glide graciously in a zig-zagging way across the Nile River. 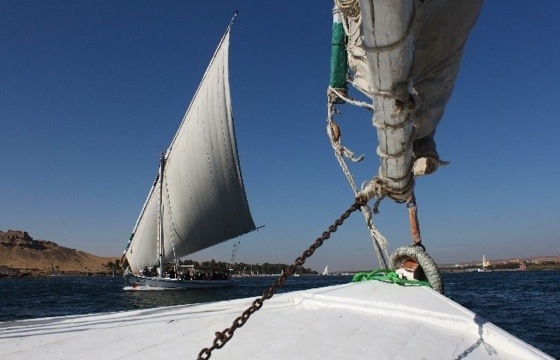 Piloting a felucca seems easy enough, as our felucca captain Abdul appears to be half-reclining in a relaxing post most of the time, but when my sister and I take turns to sail the boat, we realize it requires quite a bit of strength. 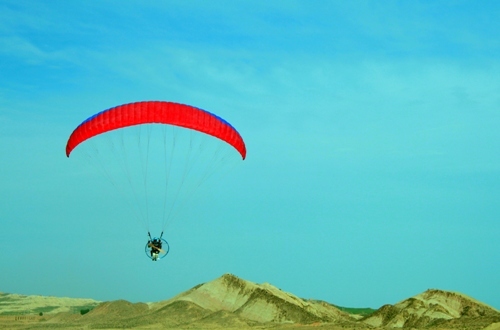 An oar is attached to the rear of the boat, which would control the mast and the direction of the sail; to steady the mast against the wind power in order to move in the desired direction do need some strength, the reclining post is actually to press your feet on one side of the boat for support, and place your back against the oar, so that you use your whole body to steady the mast, it is quite tiring, and after just about 20-minute piloting the felucca, I have backache for two days!